Last week I shared my views on Sharekhan PMS Service and I am sure one question may be bugging your mind – Why On earth did I go for a PMS? Not for writing a review of-course. Jokes apart the real answer is: I was convinced that PMS can perform better than mutual funds. Yes you are heard it right. I was convinced that PMS can do better than mutual funds. Let us first see why I was convinced. When I talked with the PMS sales people they told me one clear advantage of PMS over mutual fund is, if market tumbles then PMS can liquidate your complete equity exposure but when it comes to mutual funds they have to remain invested in equity for minimum possible levels depending on the fund type. An example equity based funds have to have an equity exposure of close to 80% no matter how much danger they foresee in the equity market. I am not talking about the few times leverage margin available when trading in futures market but what I am talking about is the debt instrument allocation part. You can see that 400,000 i.e. 80% of 500,000 were invested in a debt fund i.e. Birla Sun Life Savings Fund and rest 100,000 was left for equity trading. This way corpus can actually trade for 5 lakhs of rupees yet exposing only 1 lakh to equity. I looked at this as an advantage to mutual funds where mutual funds do not have the leverage of investing in some other debt funds 80% of money and still work with 100% of the investment amount. Apart from that I also believed that this actually means an advantage of capital protection. If market collapse by a shocking 10% in a day then also the maximum I can loose is one lakh theoretically (i.e. all my margin money) and fifty thousand practically i.e. 10% of 5 lakh. Such thoughts actually made me to continue the PMS service after the initial issues with the sales team. Aren’t we all fascinated to try a PMS? PMS has an entry barrier of few lakhs and so not many individuals and retail investors are able to go for it. It is mainly for HNI’s or High net worth individuals who have in spare few lakhs of Rupees. This makes many retail investors (including me) think that if I can make an investment portfolio of few lakhs I can go for PMS. Now the question comes why in reality PMS does not perform as expected? 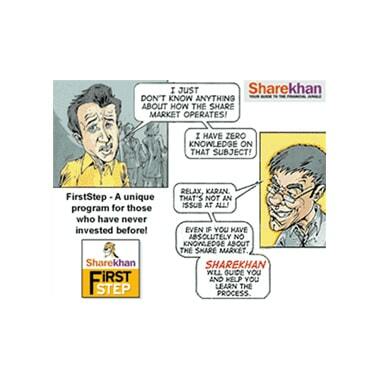 Note: Now we are talking about PMS’s in general and not Sharekhan. In general the mutual fund manager’s of good fund houses are more skilled and follow a standard allocation patterns than the PMS fund manager’s. If you are inclined towards PMS you should always know who will be managing your fund and try to get more information about his/her experience in the market and see how long the fund manager has been there with the brokerage house. Apart from that I have read in many forums and blogs that at times PMS are not managed by humans and is done by auto trading software’s but I cannot confirm about this information for sure. Like any other trading account, the highest priority for any PMS is mainly to generate more brokerage income and not return on the PMS where as for mutual funds highest priority is performance. Lack’s of detailed regulation to judge a PMS service or performance. If some sales person tells us some performance numbers we cannot challenge those numbers to the extent we prefer nor can we can ask for a proof because answer will always be – our research & numbers are confidential.